With the 2019 renewal of our Nature journals collection, we gain access to 3 new titles. 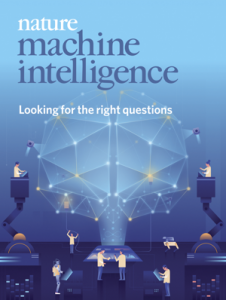 Nature Machine Intelligence will publish high-quality original research and reviews in a wide range of topics in machine learning, robotics and AI. The journal will also explore and discuss the significant impact that these fields are beginning to have on other scientific disciplines as well as many aspects of society and industry. 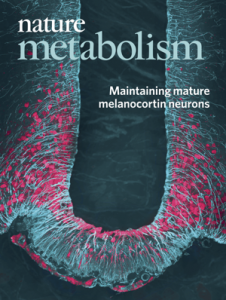 Nature Metabolism publishes work from across all fields of metabolism research that significantly advances our understanding of metabolic and homeostatic processes in a cellular or broader physiological context, from fundamental cell biology to basic biomedical and translational research. 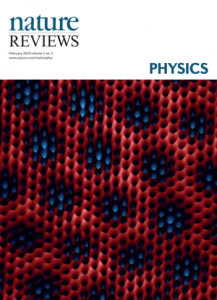 Nature Reviews Physics is an online-only journal publishing high-quality technical reference, review and commentary articles in all areas of fundamental and applied physics. All 3 titles are available via our e-journals AZ list or DiscoverEd. This entry was posted in New e-resources and tagged 2522-5812, 2522-5820, 2522-5839, Nat. Mach. Intell., Nat. Metab., Nat. Rev. Phys., SpringerNature on February 18, 2019 by eresources. Used primarily in the life sciences, protocols provide individual sets of instructions to allow scientists to recreate experiments in their own laboratories. These documents provide written procedural methods in the design and implementation of experiments that describe the safety, bias, procedures, equipment, statistical methods, reporting, and troubleshooting standards to be used in order to successfully conduct the experiment. We have purchased over 800 new Springer Protocols – covering copyright years 2014, 2015, 2016, 2017 and 2018. These have been loaded to DiscoverEd in time for the new semester and for the remainder of 2018, we will continue to add newly published protocols. A title list is available from https://experiments.springernature.com/download-source-titles-list. Springer Protocols can also be accessed at http://www.ezproxy.is.ed.ac.uk/login?url=https://experiments.springernature.com which will allow you to cross-search our other subscriptions from SpringerNature (Nature Protocols, Nature Methods) as well as the open access repository Protocol Exchange. This entry was posted in New e-resources, Updates and tagged biomedical and life sciences, e-books, Library Resources, SpringerNature, SpringerProtocols on September 3, 2018 by eresources.